Looking for that one app that you can integrate seamlessly into your classroom? Give iMovie a try! Yes, it is a bit on the pricey end at $4.99, but the cost shouldn't be an issue when one considers the possibilities with this app. iMovie was one of the first apps that I downloaded after @chericson handed me my new iPad2 at the beginning of the school year. I wanted to give students the opportunity to create videos quickly and easily. I also downloaded Prep for iMovie. 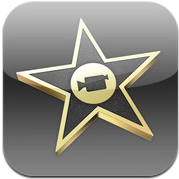 It is a great companion to the iMovie app and will walk you through every feature available within iMovie. 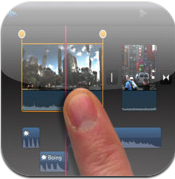 How have we used the iMovie App? One of the best features of iMovie is that you can upload your completed iMovie directly to YouTube, Vimeo or the Camera roll with a few clicks! If you haven't downloaded iMovie for your iPad yet, give it a shot it is so easy to use.